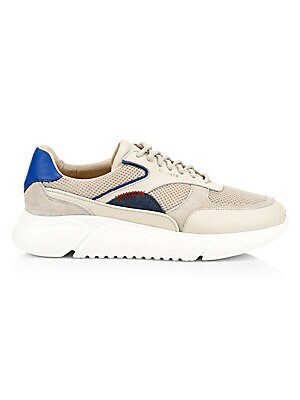 Elevated platform sneakers with denim and mesh patches flaunt a high tech finish. Leather upper Round toe Lace-up vamp Leather lining Rubber sole Imported. Men's Shoes - Contemporary Lifestyle. Axel Arigato. Color: Beige. Size: 39 (6). Elevated platform sneakers with denim and mesh patches flaunt a high tech finish. Leather upper Round toe Lace-up vamp Leather lining Rubber sole Imported. Men's Shoes - Contemporary Lifestyle. Axel Arigato. Color: Beige. Size: 40 (7). Elevated platform sneakers with denim and mesh patches flaunt a high tech finish. Leather upper Round toe Lace-up vamp Leather lining Rubber sole Imported. Men's Shoes - Contemporary Lifestyle. Axel Arigato. Color: Beige. Size: 41 (8). Elevated platform sneakers with denim and mesh patches flaunt a high tech finish. Leather upper Round toe Lace-up vamp Leather lining Rubber sole Imported. Men's Shoes - Contemporary Lifestyle. Axel Arigato. Color: Beige. Size: 42 (9). Elevated platform sneakers with denim and mesh patches flaunt a high tech finish. Leather upper Round toe Lace-up vamp Leather lining Rubber sole Imported. Men's Shoes - Contemporary Lifestyle. Axel Arigato. Color: Beige. Size: 43 (10). Elevated platform sneakers with denim and mesh patches flaunt a high tech finish. Leather upper Round toe Lace-up vamp Leather lining Rubber sole Imported. Men's Shoes - Contemporary Lifestyle. Axel Arigato. Color: Beige. Size: 44 (11). Elevated platform sneakers with denim and mesh patches flaunt a high tech finish. Leather upper Round toe Lace-up vamp Leather lining Rubber sole Imported. 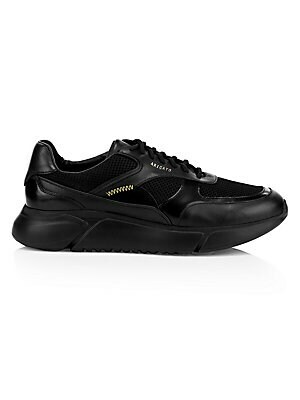 Men's Shoes - Contemporary Lifestyle. Axel Arigato. Color: Beige. Size: 45 (12). Elevated platform sneakers with denim and mesh patches flaunt a high tech finish. Leather upper Round toe Lace-up vamp Leather lining Rubber sole Imported. Men's Shoes - Contemporary Lifestyle. Axel Arigato. Color: Beige. Size: 46 (13). 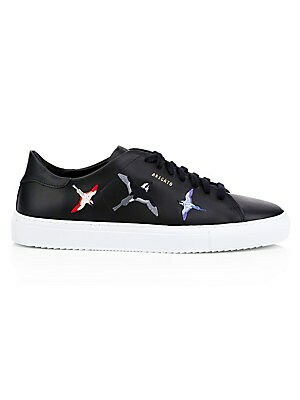 Minimalist low-top sneakers with delicate bird embroidery. Leather upper Round toe Lace-up vamp Leather lining Rubber sole Imported. Men's Shoes - Contemporary Lifestyle. Axel Arigato. Color: Black. Size: 40 (7).